One of the most important elements of the service we provide is having the ability to make free, prompt deliveries so that our customers receive their goods in time. Last year, a huge increase in demand for our products meant that we invested in two new vehicles to join our electric delivery van ‘Sparkles’ and our hybrid car ‘Burtie’, bringing our fleet to four in total. When it comes to making investments like this, however, we give a lot of thought to how and what we are introducing to the business. 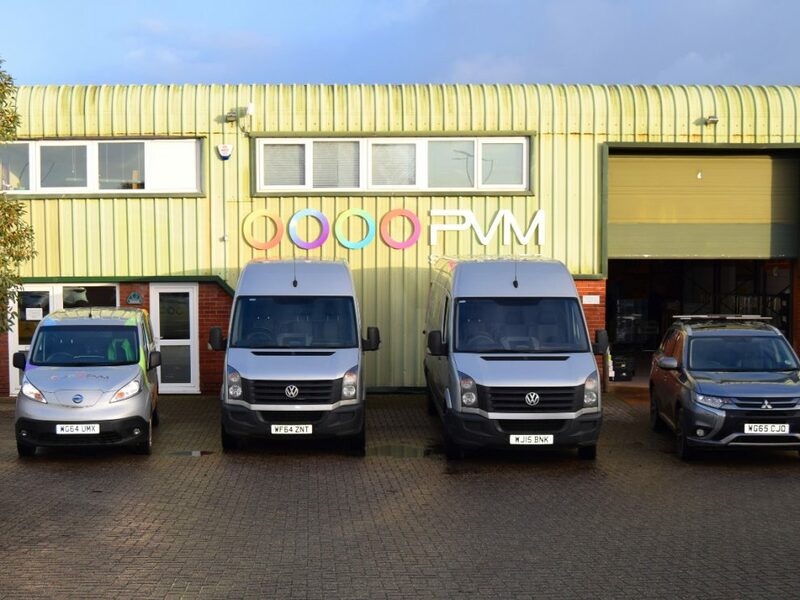 In this case, we didn’t just settle for any old delivery van, we took our time in choosing a type of vehicle that fits with the PVM ethos and our passion for reducing our carbon footprint. No more petrol, oil changes, or tune-ups, which means we are submitting zero harmful carbon emissions into the environment and so, improving air quality. With no emissions, the vans are also virtually silent so you won’t hear us coming! Not only that but with no internal combustion engine or traditional transmission, it has far fewer moving parts than the average van, meaning we get the benefit of low maintenance costs. Not only do they cut costs by 40%, but also our drivers love our electric vehicles. They know when the battery is getting low as they are updated by an advanced CARWINGS connected service system which features the battery status and the location of the nearest charging points. You may have noticed that more electric car charging points are popping up in popular locations, which means when our drivers are out on the road, there are even more opportunities for them to stop and recharge – and it only takes 30 minutes and last for about 100 miles at a cost of only 2p per mile. Our Mitsubishi Outlander Phev, is a dream to drive and our team love getting the chance to use it for appointments. As a hybrid vehicle, it means the power comes from a combination of sources, designed to create future-proof motoring that offers low emissions. The vehicle is powered by twin electric motors and a petrol engine. The hybrid technology chooses which to use, in order to match our driving and provide fuel efficiency with a combined range of 542 miles. While the vehicle itself has the ability to select the best option, we also have the power to choose, right from the driver’s seat. As soon as the electric power drops to a certain level, the petrol engine will kick in like a generator. The vehicle is capable of doing 33 miles just in EV mode, running on electric alone, so when we make short journeys around the Exeter area, we are spending hardly any money and admitting minimal emissions. With many innovative features, a high efficient fuel engine and ultra-low CO2 we are confident that this addition is helping us achieve our environmental goals. So, if you see any of our vehicles out on the road, why not give us a wave? Our drivers are a friendly bunch!